We love because God loved us first. The Salvation Army provides spiritual services to anyone God brings across our path. 59% of disaster victims preferred to receive support from a clergy or religious counselor. Many people - including disaster victims - desire spiritual care during times of duress. We desire to be the hands and feet of Jesus Christ, wherever and whenever we can. The Salvation Army is an evangelical part of the universal Christian Church. Our message is based on the Bible, our ministry is motivated by the love of God and our mission is to preach the gospel of Jesus Christ as we meet human needs in His name without discrimination. Every program we offer is rooted in our passion to serve God by serving the lost, the vulnerable, the needy, the poor, the hurting, the helpless and the hopeless. Every day The Salvation Army changes lives for eternity. The Salvation Army is a worldwide church, and our Corps Community Centers provide church services and act as community hubs for spiritual development through a multitude of programs. These programs range from providing a sanctuary for quiet prayer, worship services and Sunday School to Bible study groups, Women's Ministries, Men's Fellowships, music & instruction, and character building programs for children. 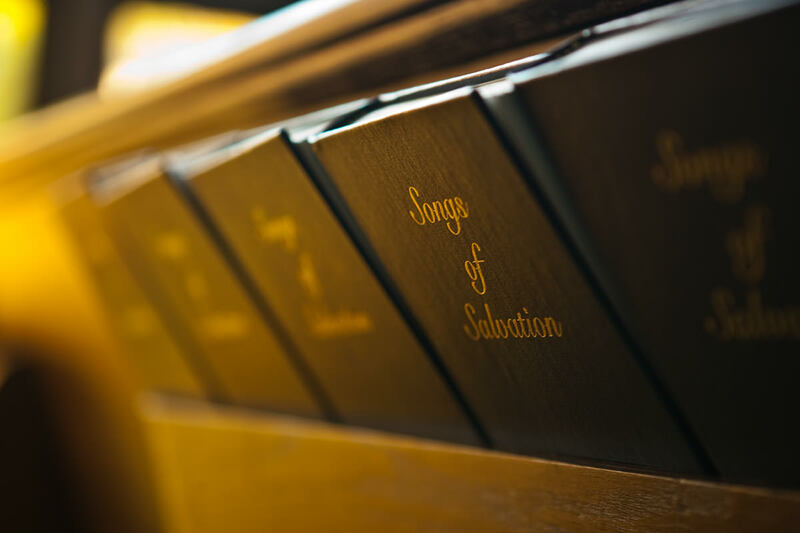 The Scriptures of the Old and New Testaments were given by inspiration of God, and that they only constitute the Divine rule of Christian faith and practice. There is only one God, who is infinitely perfect, the Creator, Preserver, and Governor of all things, and who is the only proper object of religious worship. There are three persons in the Godhead - the Father, the Son, and the Holy Ghost, undivided in essence and co-equal in power and glory. In the person of Jesus Christ, the Divine and human natures are united, so that He is truly and properly God and truly and properly man. Our first parents were created in a state of innocence, but by their disobedience, they lost their purity and happiness, and that in consequence of their fall, all men have become sinners, totally depraved, and as such are justly exposed to the wrath of God. The Lord Jesus Christ has, by His suffering and death, made an atonement for the whole world so that whosoever believes in Him will may be saved. Repentance toward God, faith in our Lord Jesus Christ and regeneration by the Holy Spirit are necessary to salvation. We are justified by grace through faith in our Lord Jesus Christ and that he that believeth hath the witness in himself. Continuance in a state of salvation depends upon continued obedient faith in Christ. It is the privilege of all believers to be wholly sanctified, and that their whole spirit and soul and body may be preserved blameless unto the coming of our Lord Jesus Christ. In the immortality of the soul, the resurrection of the body, in the general judgment at the end of the world, in the eternal happiness of the righteous, and in the endless punishment of the wicked.